The rights business is about relationships—and digital tools, say rights experts Kris Kliemann and Jane Tappuni. 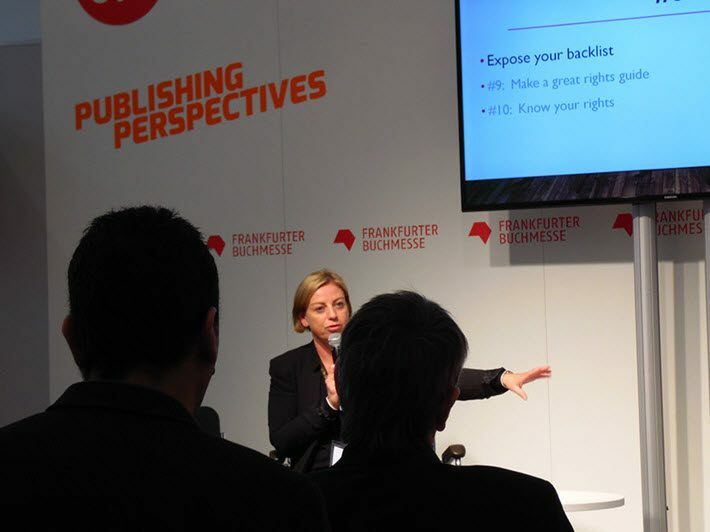 Here are their top ten tips for publishing rights professionals. 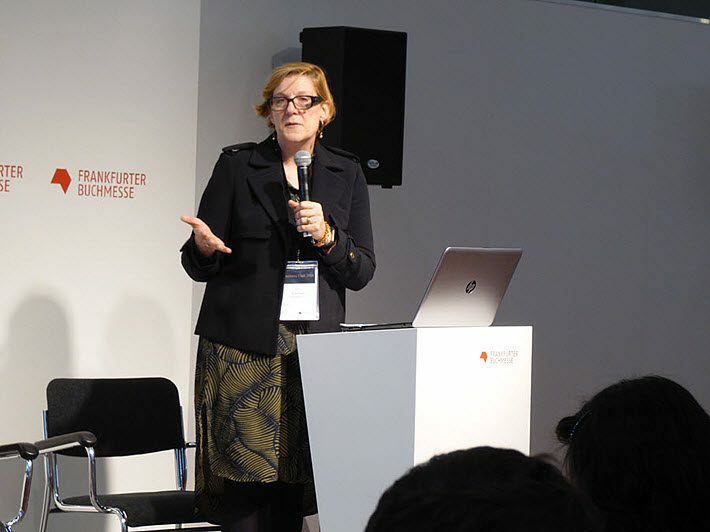 One of the most instructive programs on the Publishing Perspectives Stage at Frankfurt Book Fair last month was a special presentation of “Ten Rights Hacks” from US-based rights expert Kris Kliemann, who until recently directed global rights for John Wiley & Sons, and Jane Tappuni, who leads business development and marketing for the transactional rights marketplace IPR License. Here’s a review of the ten points that Tappuni and Kliemann offered to the audience, with some of their comments. As in any good Top 10 list, Kliemann and Tappuni started with No. 10 and worked backward. This was a fine cautionary note that unless you really know exactly what your publishing house or agency has to offer, you can’t possibly capitalize on the possibilities. “Instead, I want to tell her why she should publish this book. Why a company would benefit from publishing a book is a different story from why a reader might enjoy reading that book. Kliemann also recommends that a publishing house should have a rights site giving potential right buyers interactive access to the list and to details they know of what’s available. Picking up on Kliemann’s suggestion about having an online rights presence, Tappuni reminded the audience that “Successful frontlist becomes backlist. And if you expose your backlist, then it’s a perfect dovetail” to your other availabilities. 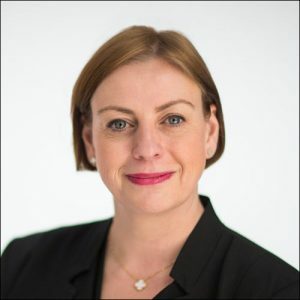 She took this opportunity to point out that not only your own rights site but also an aggregator of rights availabilities such as IPR License’s transactional platform can display and offer backlist titles as well as new ones. The advantage in that case—as a support, not competition, to your own site—us that there’s a certain built-in audience for a major site like IPR’s, and you’re thus bringing more eyeballs to your backlist availabilities as well as newer work. These details—”stored outside your head,” she stressed—can become a way to search for the right sales targets, too, based on what these buyers have done in the past. “This is both about using systems,” Tappuni said, “but also about being creative. The book is just a wrapper. Think of your content” as a kind of group of intellectual property,” not necessarily tied to one format (a book) or another. In this case, Tappuni was talking mainly about nonfiction work and ways that it’s been handled by companies including O’Reilly Media and Safari. “You can sell things in chunks,” she said. “You can license single chapters separately. You can put different bits of content together. You might allow people to put things together for coursework. But it’s all about exposing your intellectual property. “If you have a good system, a CMS [content management system], it’s all part of an ecosystem for publishing, licensing, and selling. If you have the time to understand what you can license, there’s money to be had. Please don’t leave money on the table. “The way our world works now is much more fluid. These systems should be open, they should be able to see each other, and data should be able to be pulled in and out of a rights system. If you know your customers, you should be able to customize content for them” based on your ability to mix and match as needed. Kliemann picked up on what Tappuni was saying about being creative with content that might be sold in “chunks” instead of as whole books, saying, “I think there’s a certain amount of fear” for many in the traditional industry “with this idea of breaking things up.” She recalled being a travel publisher at Fodor’s and advising readers that, “You don’t have to keep the two shoes together” in a suitcase. 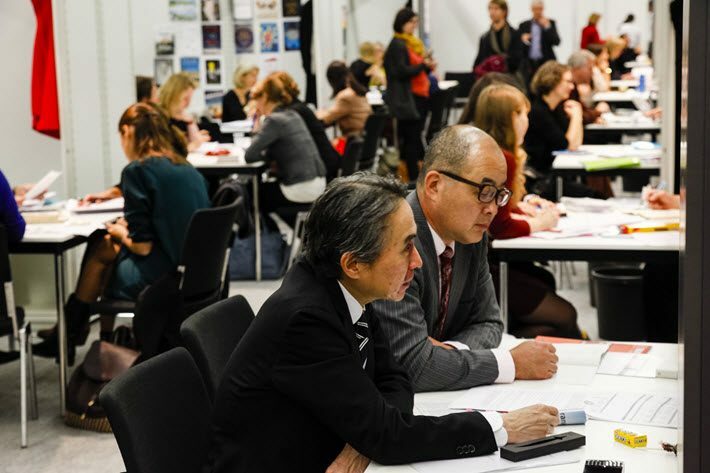 In the past, Kliemann said, publishing trade shows were rare chances to see each other. But today, she said, we have new tools for face-to-face communication. “Use Skype,” she said, “have face-time with your customer. Take the time throughout the year to have conversations with each other” rather than waiting for each year’s trade shows. “Especially for those of us dealing with each other across cultures, very often our emails are misinterpreted. You thought you said one thing and the customer is interpreting it another way. If someone is seeing your face in a video call or listening to your voice in a phone call,” there’s a better chance for understanding. Tappuni asked the audience to consider “how licensing deals are constructed” today. “You ask for an advance, based on future royalties, you send your royalty statement in at a pre-determined time, every six months or quarterly or annually. “But do we really have to do that?” she asked. “What happens if somebody from a minor territory wants to license something really quickly? Could you not just do a one-off deal and say, ‘Yes, we’ll accept this deal for the next three years’? This can leave time, she said, for the major deals, which will still be done in the standard way. “When you’re looking at your mega-France sale, that’s where you want to focus. So why not find a way to get quick and easy things done faster? 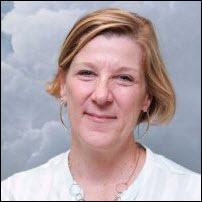 “This goes back to the kinds of conversations you can have with customers,” Kliemann said, “and how focused we can become on telling the stories of our great books and a set of 55 titles you feel you have to get through in 30 minutes. “If you’ve done a little bit of bonding” with your customer and pre-selected several books you know that buyer might want. “Tell them about them and then stop talking,” she said. “Just stop talking for the last 10 minutes of your meeting. And listen to what they have to say. Ask a few questions. Find out what they know. What’s happening in their market? If they could have any book they want, what would be the dream book they want?—and is there a way for you to create that book? Prior to the advent of email, Tappuni said, “We would do actual deals here at the Fair. I mean sign contracts. Write checks. Things happened really quickly. Once email came into play,” she said, “things started happening really slowly. “Think of ways you can make things faster. One thing might be digital signatures” to prevent having to move physical copies of documents back and forth. And another thing, she said, involves being ready with answers for the “after contract” questions that tend to come up, something that again is supported by having good systems with metadata properly logged and a strong view of what your intellectual property looks like. No more card files, Word docs, notebooks, Post-Its, contracts kept in the building down the road—or “Heaven forbid,” said Kliemann, “keeping it in your head! “If you haven’t graduated to using spreadsheets to manage detail, then go for it. Modernize and conquer, these two specialists told their audience. There’s money to be had by those who use the best systems available to them today. 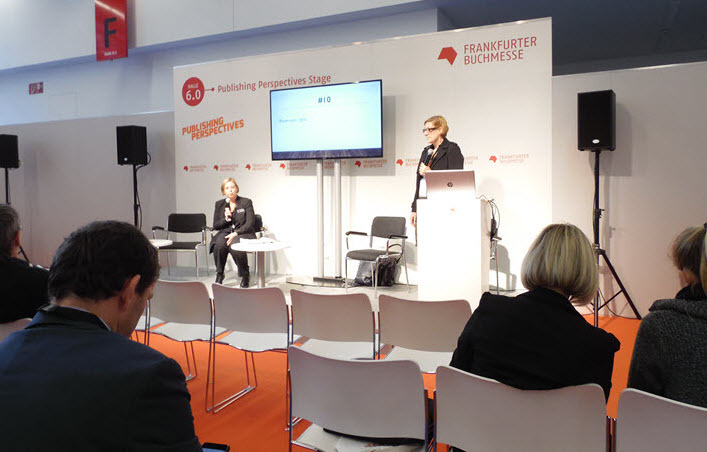 For more coverage from the 2016 Frankfurt Book Fair, download our Publishing Perspectives Show Dailies here.